Steeped in tradition, Kirsberry Cherry liqueur is made from a hundred year old secret family recipe that consists of 100% natural ingredients with no artificial colourings or preservatives. Produced just north of Copenhagen, the Danish climate gives the cherries a chance to ripen slowly so they can become juicy and aromatic. 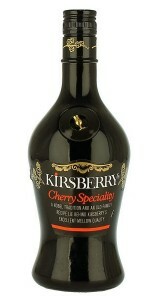 Following the maturation, only the finest cherries are selected to give the Kirsberry liqueur its sublime mellow quality. Colour: The pressed ripened cherries give the liqueur a deep oxblood tone. Aroma: Kirsberry has a sweet scent of cherry and marzipan; a pleasantly rich and syrupy aroma. Palate: The sweet, long taste of cherries turns pleasantly sour on the finish, with a hint of plum and almond giving the Kirsberry liqueur a diversely rich and intense flavour. The sweetness and fruitiness of Kirsberry makes it a perfect accompaniment to chocolate and fruity desserts, while the liqueur can also be used in a wide number of cocktail recipes. 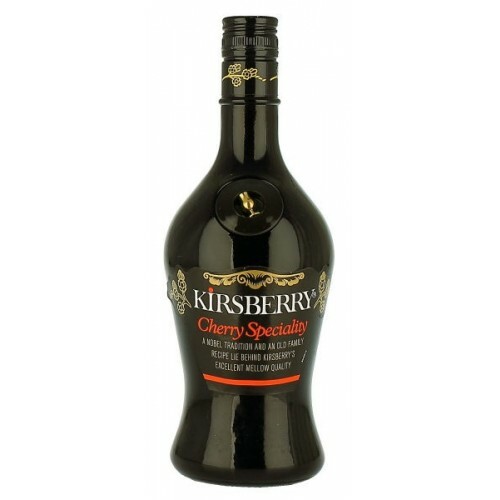 Kirsberry Cherry Liqueur is available to buy online at Corks Out. With no minimum order, you can easily pick up a single bottle of the liqueur. We also have free delivery on some orders and next day delivery available on all our stock. Disclaimer- On some occasions the Kirsberry bottles arrive with us missing their small pendent which is shown on the front of the bottle. We will try our very best on every occasion to have the bottles delivered in the highest possible condition but due to the make of the bottles on some occasions this pendent may be missing.